So as I have a new job I am relocating from Lincoln to Nottinghamshire. 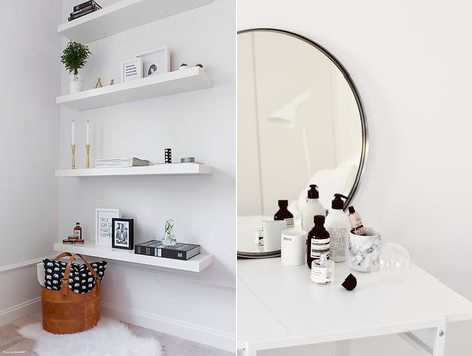 This means another opportunity to redecorate another room, you guessed it - white. Here is a post of how my current room looks at the minute. I'm not going much different other than a few new accessories and I'm not having the grey throw or cushions anymore. I have been painting old furniture all morning so I most likely have paint in my hair as I type this. I have been hugely inspired lately and really inspired by Kate from GhostParties. She has that dream white wood floor flat going on that I one day lust for. 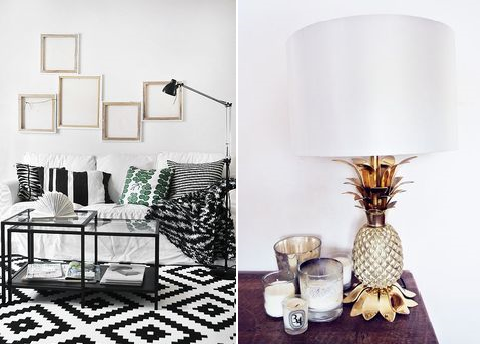 I thought I would share my recent inspo's in this post with some images from Pinterest. Below is a little inspo board I created to mix together items that I already have and new items I want to add to my room. 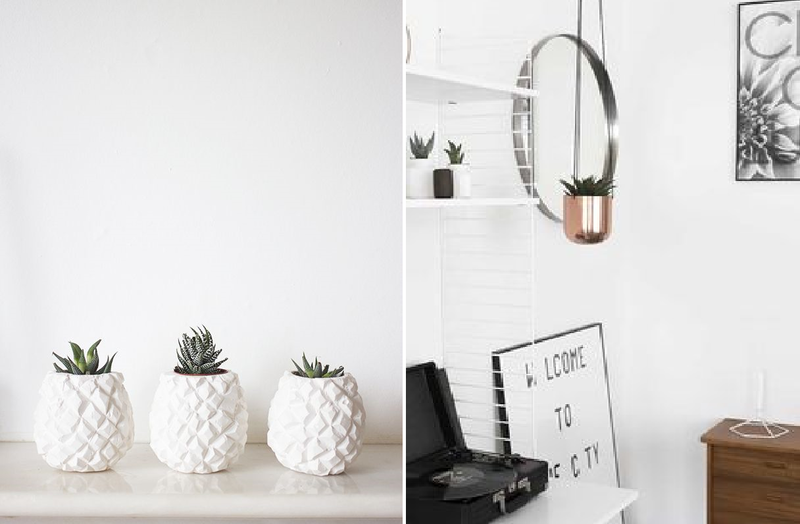 Minimal, copper, black & white, pineapples, marble, h&m home, quotes, Buddhas, candles, fashion books, Vogue magazines, green plants, chic cushions, white bedding, ring hand stand, Jo Malone, Diptyque. I know my taste isn't everyone's cup of tea. People think too much white is excessive and I often get asked how I keep it clean! But for how good it looks, it's worth the upkeep. If you want to know where anything is from then comment below. 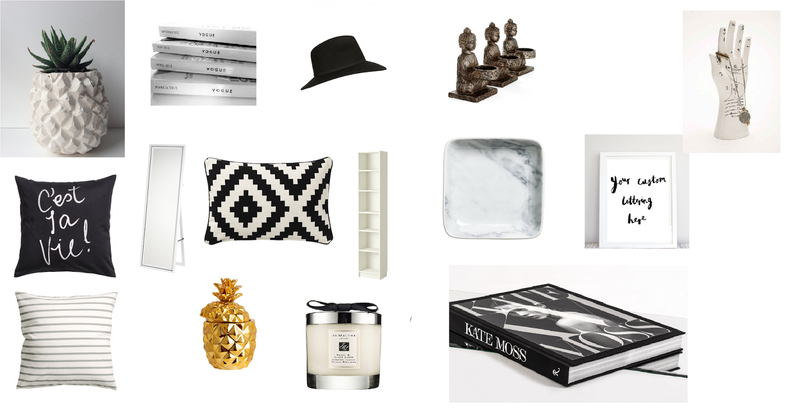 It's all a mix of items for h&m home, Notonthehighstreet.com, Next, Esty.com, Ikea and Urban Outfitters. I'll keep you updated on my room progress and the finish!